Open a support ticket. You'll get an answer within one business day. You may want to post a question here. The Eyeshot installation provides 60 source code samples in both C# and VB.NET and for both WinForms and WPF platforms. From the basic CustomData to the advanced EyeshotDemo. Source code samples are the best place to start learning Eyeshot. You can find them inside the Documents folder of your machine. Product documentation can be found here. 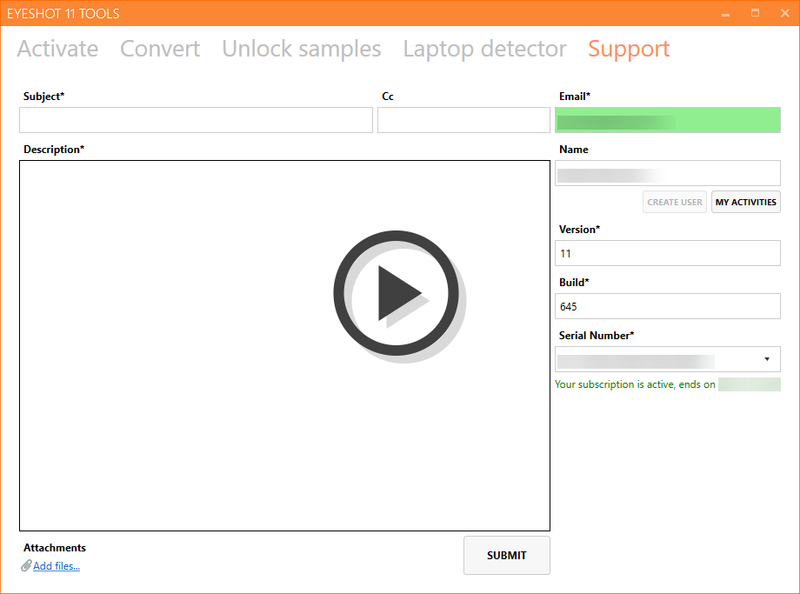 You can even jump directly to WinForms API Reference or WPF API reference. You can learn how to download, install and start using Eyeshot here. If you are upgrading from Eyeshot 11, you will find this article very helpful. You can find the list of Eyeshot 12 breaking changes here. The best place to learn how to extend or customize the Eyeshot control. A list of the frequently asked questions on the Eyeshot product can be found here. Browse all questions tagged by eyeshot. The latest Eyeshot version changelog. The best way to open a support ticket (without bothering with all ticket fields) is the following. This tool will extract and autofill all the necessary ticket fields. Available from Eyeshot version 11 build 11.0.686. If the tool is missing on your machine, please use the standard web form.